When the April 7.8 magnitude earthquake hit Nepal, Rotaractors and Rotarians quickly connected with ShelterBox to assess damage and mobilize emergency relief teams. The Rotary family in Nepal and around the world has been instrumental in helping ShelterBox with logistics, transportation, housing Response Teams, and sponsoring emergency shelter tents and relief kits. In December 2014, Malaysia was devastated by heavy flooding. A response team was deployed to the country after Rotaractor James Ong, a member of ShelterBox Malaysia, contacted ShelterBox for assistance. James was instrumental in arranging response logistics from greeting response team members at the airport to arranging transportation for the teams’ operations. James helped translate and interpret key information from Malay to English and assisted with box distributions in Pahang State. James and fellow Rotaractors worked with PDG Khoo Boo Khean to mobilize a District 3300-wide response coalition of Rotarians and Rotaractors to assist with the month-long deployment. Last May, following flooding and landslides in Serbia and Bosnia and Herzegovina, ShelterBox Response Teams, alongside Rotarians and local agencies, provided vital aid to the most vulnerable communities in both countries. In November 2013, the largest storm to make landfall struck the Philippines. Because local Rotary clubs members were able to quickly assess destruction severity, ShelterBox deployed a response team with relief equipment within 48 hours of the disaster. Rotarian Stephen Castillo from Cebu City, Philippines, helped ShelterBox with warehouse and logistics during the deployment. Since conflict first broke out in Syria four years ago, more than 10 million people have been displaced with four million seeking refuge in other countries. 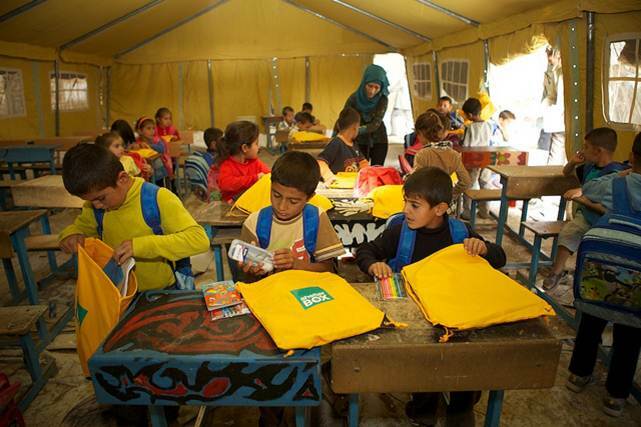 ShelterBox is working with implementing partners including Hand in Hand for Syria to distribute needed aid, including shelter kits, tents, mosquito nets, water filters, water carriers, blankets, groundsheets, SchoolBoxes, and solar lamps. The ShelterBox-RI Fact Sheet provides more information about local or international service opportunities with ShelterBox. 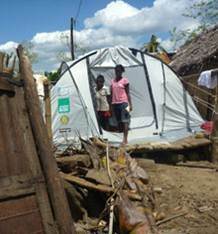 Contact a ShelterBox international affiliate to start working together. 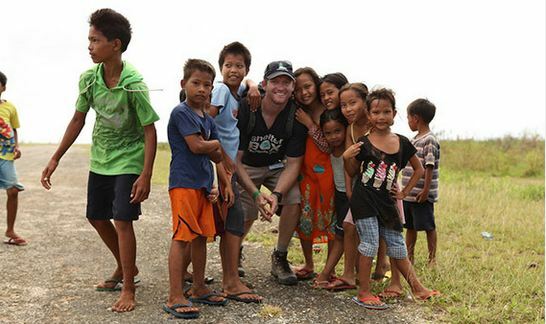 Bill Decker, a Rotary club past president and ShelterBox Response Team member, with children in the Philippines (image courtesy of Bill Decker). Rotary is good thanks to all volunteers for all your support indeed we are neighbors community leaders united for a common good.